I’m cutting it a little fine with this review, but just managing to scrape together some thoughts on May’s “Dance to the Music of Time” volume before the end of the month! 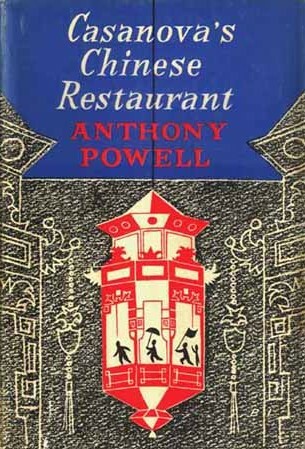 I’m now onto the fifth book of my reading, “Casanova’s Chinese Restaurant” and I feel very much as if I’m getting into my stride with Powell. I think Keith Marshall from the AP society really nailed it when he commented that the books should read like anecdotes round a dinner table. I’ve stopped expecting a straightforward narrative or conventional character development and I’m just going with the flow! The story opens with Nick observing a bombed-out public house so we are obviously starting off during the Second World War. However, Powell instantly wrong-foots us as Nick flashes back several years and introduces us to one of the main characters in the book, the composer Moreland. Although we have not come across him before (I think! ), he turns out to be one of Nick’s good friends, and is also associated with old crony Mr. Deacon and also Barnby. We also meet some other new characters, notably Maclintick, Gossage and Carolo, who will all feature prominently in the story. 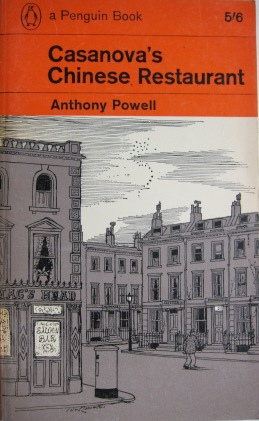 The first long chapter culminates with them dining and discussing in the Casanova’s Chinese Restaurant of the title, and Powell will have his characters recall the significance of this meeting later in the book. As the story moves on through the 1930s, Nick marries Isobel, although little is told about this marriage. The Tollands are much in evidence, including the wonderful Erridge who jaunts off to take part in the Spanish Civil War. There is much discussion of the politics of the time, although this is never boring. Both Isobel and Moreland’s wife Matilda become pregnant, but Isobel miscarries and Matilda’s baby does not live very long. Widmerpool makes a fleeting appearance, Stringham a longer one, there are marital issues, deaths and then an engagement. 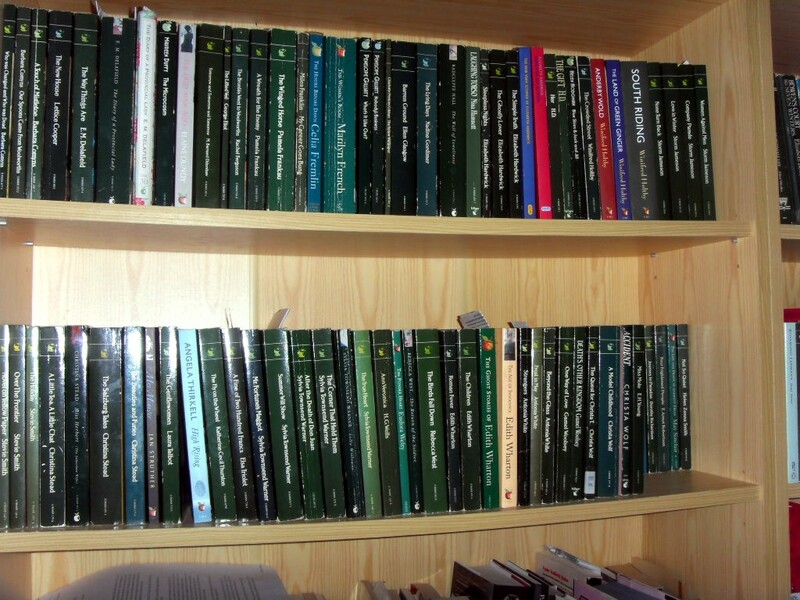 It’s difficult as always to summarise the plot of one of these books because they are strands and events from a life. It’s now clear that Nick is going to tell his story as a series of vignettes, glimpses of particular experiences and people in his life that, put together, make up the whole. No-one can recall their life in a linear, sequential way and so the books are very true to life in that way. In each one, Powell focuses tightly on a specific group of characters – they overlap with others in Jenkins’ life, but each book chooses to relate a series of events with one particular central group/set of people. And at the heart of this story are two marriages – that of the Maclinticks and of Moreland to Matilda. There is a third marriage mentioned in passing, that of Nick to Isobel, but Powell has his narrator state his position quite planly in a paragraph that makes it clear that he believes it is not possible to write about a marriage whilst in the middle of it; and therefore we know that we will have no deep study of the Jenkins’ relationship. However, the contrasting pairings of the McLinticks and the Morelands are covered in the some detail, and there is considerable anguish involved for both couples. Maclintick, who is a music critic, seems to be in a permanant state of war with his wife Audrey, who comes across as a harridan initially, but develops depth as the story goes on. 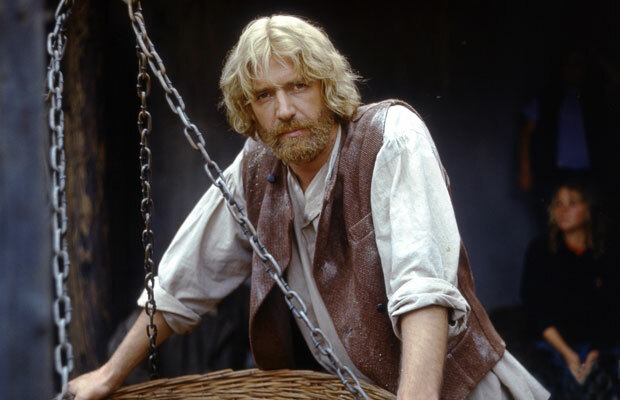 In contrast, Moreland is an indecisive man, but falls deeply in love with Matilda (who has connections to characters in earlier books) and marries her just before Nick and Isobel’s ceremony. However, despite what seems to be an ideal match, Moreland strays after their baby dies and it takes a dramatic event to send him back home to his wife. Strangely enough, it is the warring Maclinticks who seem to have a stronger bond, at least on his side, so that when Audrey Maclintick leaves him, the critic is devastated and unable to cope. As always, I marvel at Powell’s skill in interweaving his materials with previous volumes; although these new characters are acquaintances of Nick’s we haven’t met before, Powell blends them into his milieu perfectly. And it’s interesting to note how Nick in many ways thinks of his friends in particular groups or compartments, only to be surprised when they escape and intermingle when he least expects it. There are plenty of old favourites making reappearances, most notably that of Stringham in a long sequence at Mrs. Foxe’s party; and thinking about it, the relationship between Stringham and Miss Weedon (“Tuffy”) is another intriguing one. It has sinister undertones, as Stringham is almost being kept prisoner by his family, deprived of money and doted over by the old governess in an attempt to control his drinking. I have started eagerly awaiting each book’s Unexpected Appearance of Widmerpool and I was not let down in “Casanova” as he turns up rather wonderfully where you really wouldn’t think he would be! He is still as appalling as ever, though peripheral in this book because he is not closely connected with the people whose tale Nick is relating. The wonderful eccentric that is Erridge only appears off-camera too, as do Quiggin, Mona and several other well-loved characters, but they are present enough to ensure continuity. I seem to be enjoying these books more and more as I read on through the series. Powell’s prose is as lovely as ever, eminently readable and he has the skill to capture the strangeness, the unexpectedness and the interconnectedness of life beautifully. Roll on June’s book! 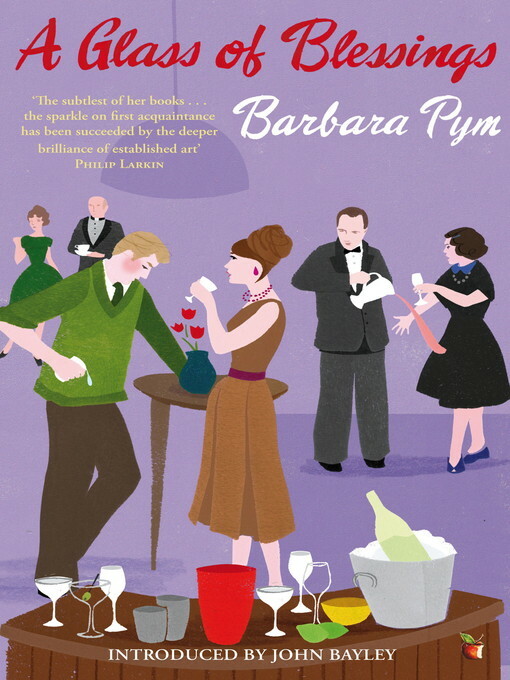 So we reach May – well, actually, nearly the end of May – and book five in the LibraryThing centenary read of Barbara Pym’s novels. This month’s book is “A Glass of Blessings” and I feel it’s fair to say it’s one I’ve had to struggle with a little. Our narrator/heroine is Wilmet Forsyth. Wilmet is 30, married comfortably to Rodney and lives with him and his mother Sybil. Wilmet is unemployed, childless and mostly bored, and so occupies herself with church, shopping and seeing old friends, while Rodney works for the civil service. A chance reacquaintance with Piers, brother of her best friend Rowena, leads to flirtations and daydreams, all the while spiced up by the goings on of the various priests and parishioners around them. But disillusionment and some surprises lurk round the corner. In many ways we are in familiar Pym territory – a parish plus its priests and excellent women; a middle class setting; several misfits and Pym’s trademark acid wit. However, I found one big obstacle at the start of this book and that was Wilmet herself. Self-centred, self-interested and complacent, she really is a very unpleasant character. Although she mellows, and recognises some of her faults by the end of the book, I almost stopped reading after the first chapter because of her appalling smugness, and the bland, ready acceptance of the fact that it was ok for her to have no children, no job, and nothing to do but swan around all day shopping and thinking how nicely turned out she was! Her light-hearted flirting with Rowena’s husband Harry seemed actually heartless and hollow, especially when it turned out that Rowena knew about it – and although Wilmet blithely thought how wonderful it was that they were good friends and that this was all ok, I’m not sure it really was. Likewise, the passion she develops for Piers turns out to be groundless as he is quite happily settled in his flat with his friend Keith, and they presumably simply admire her as a poised, elegant woman and nothing else! If the novel had only consisted of these characters I would have been bored very quickly, but fortunately it is saved by the excellent array of supporting characters. The various priests (Father Thames, Father Bode and Father Ransome) are funny, individual and all likeable in their own ways. Mr. Bason, who leaves the civil service to cook for the priests and somehow ends up in Cornwall running some kind of an antique shop, is a hoot. And Sybil, Wilmet’s mother-in-law, is a joy – she provides a counter voice all the way through, and is a strong, sensible woman who ends up pulling off one of the biggest surprises of the book. Then there is Mary Beamish, a classic “excellent woman”, looking after an ageing invalid mother and unsure of whether to pursue becoming a nun or marrying a priest! I liked Mary immensely, in a way that I couldn’t like Wilmet – in fact, Wilmet’s treatment of her at the beginning of the book is really unpleasant – and I was glad to see Mary in the end find her place in life. There were several appearances of characters from previous books: Archdeacon Hoccleve; Catherine Oliphant; Prudence Bates; and even Rocky from “Excellent Women”, who it transpires that Rowena and Wilmet had both been in love with when they were in the Wrens in Italy, and then went on to meet their husbands. And there is a devastating depiction of the horrors of suburban married life in the form of the cocktail party thrown by Rowena and Harry when Wilmet is visiting for the weekend, which had me wincing and laughing at the same time. By the end of the book, Rowena and Harry seem to just slip out of the story, presumably Harry’s flirtation with Wilmet having come to an end; Piers and Keith, Sybil and Arnold, plus Mary and Marius have settled down; and Wilmet and Rodney, having confessed their silly flirtations, buy a flat and are brought closer together. Are we to think, then, that finding a mate and making a go of it are the only options? Piers and Keith certainly seem to form a normal sort of domestic couple, although the glimpse the pampered Wilmet gets of the modern world of coffee bars is very far from her normal surroundings. Unlike her other books, Pym appears to be lauding the married state, albeit with a cynical enough eye to see that the handsome Marius Ransome is marrying the mousey Mary Beamish from any number of motives, including the fact that she has plenty of money and will be the perfect vicar’s wife! This wasn’t a bad book – I doubt Pym could write such a thing as her prose and wit are excellent – but I found it difficult to get past Wilmet’s character and it was an interest in the subsidiary characters that kept me going until the end, and not in the main protagonist. Enjoyable but flawed would probably be my summing up! Nina Bawden is a Virago author with quite a few volumes on my tbr mountain, so when Simon at Stuck-in-a-Book suggested we do a readalong, we picked the one book we had in common which is this one! Before I started to seriously collect Viragos, I only knew of Bawden as a children’s author, notably of “Carrie’s War” (which I have to confess I haven’t read). However, she seems to be rated highly as an adult writer too, so I was interested in advance to see what her work would be like. I can’t promise to avoid SPOILERS so if you intend to read the book yourself, please read on with care! 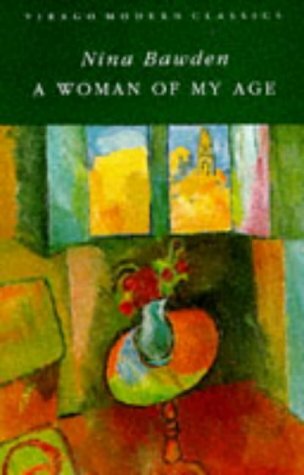 “A Woman of My Age” is narrated by Elizabeth Jourdelay, a woman who at 37 regards herself as middle-aged (gosh!). She is married to Richard and they have two teenage sons; as we encounter them for the first time, they are holidaying in Morocco, travelling through the heat and the desert. On their journey they have run into an older couple, Mr. and Mrs Hobbs; she is a large, unwell lady, he is a book-loving, kind man. Other fellow travellers are Flora, an old acquaintance, and her toy boy Adam. As Elizabeth starts her story, we go into flashback, and it is clear that we are going to learn the story of her life this way, while she travels on through the desert reflecting on her past. She is an orphan: her mother died in childbirth, and she was brought up by two militant aunts. Elizabeth’s university life is broken off by her meeting with Richard; she falls pregnant and he marries her when she is 20, the book being set in a time when this was considered the only respectable thing to do. But as the book continues, it becomes clear that the marriage is a troubled one and we learn of the changes Elizabeth went through, her frustration at the restrictions of her life and the falsities in her relationships. This is not, however, just a polemical, feminist book – it’s a little more subtle than that, as although much blame about things can be attached to Richard and his behaviour, Elizabeth is a detached woman with repressed emotions. The lack of parents and her upbringing by her aunts have given her a cerebral outlook and she is in some ways remote from real humanity. Her interest in abstract issues leads her into a political life which has a divisive effect on her relationship with Richard; and her lack of understanding of the effect her actions will have on real lives puts her and one of her sons into a dangerous situation. As the book progresses and we learn more about Elizabeth’s past, we simultaneously watch both now and then unravel. Facts come to light about Richard and Flora’s behaviour and previous relations, Mrs. Hobbs is taken ill, Adam abandons Flora and Elizabeth flirts with Mr. Hobbs. The heat of the desert, the niggles and tensions between the major characters and some surprisingly developments all take the story in unexpected directions until what is intended as a shocking climax occurs. But is it? To answer that, I suppose I need to go more into my reactions to the book. Firstly, I loved Bawden’s writing – very atmospheric, very good at building up character and her descriptions of the landscape are really evocative. She creates a sense of Elizabeth’s persona and her state of mind very well, and although all of the characters are flawed and not always likeable, in that sense they are very real. This book is very much of its time, too. It was published in 1967 and set in the decades leading up to that year – post war, where women’s roles were changing and there was still much emotional conflict about whether women should have careers or be carers, whether it was realistic to be a working mother with political interests, and indeed the debate about communism vs fascism was raging. In some ways, Elizabeth’s situation reminded me of that of the heroine in Celia Fremlin’s “The Hours Before Dawn” (also published by Virago); although there is a class difference between the two women, both are struggling for mental clarity about their lives and situations, but the exhaustion of caring makes this very hard for them to do. This could perhaps be seen as an analogy for the difficulty women face in having a clear idea of their role in the world and what they want to do, which is still relevant nowadays with all the conflicting images and identities flung at them by the media every day. Additionally, it is quite shocking to realise how recently it seems to be acceptable for a husband to hit a wife, and also for a husband to philander; it is still assumed that Elizabeth should have no ambitions outside caring for her husband and family, despite her intelligence, and that the most important thing for her is to tailor everything around Richard’s needs. The plot mostly works and is revealed skilfully as the narrative progresses. 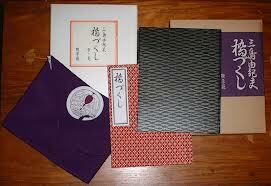 However, I was left with a couple of reservations about the ending of the novel. Firstly, I wasn’t entirely convinced about the relationship which developed between Mr. Hobbs and Elizabeth. Although this was signposted quite early on, I found Elizabeth’s attitude towards him ambivalent – he is a complex character, sometimes portrayed in a sympathetic manner but at other times mocked a little – and I wasn’t sure things would have turned out this way. Whether this was meant to contrast Flora’s relationship with a younger man, or simply a plot device to bring events to a climax, I’m really not sure. Bawden discreetly lets us know that there is a sexual void between Elizabeth and Richard, and her encounter with Mr. Hobbs seems to bring about fulfilment for her in a way she did not expect, although she still seems somewhat detached. I guess in a novel written more recently this might have been covered in a little more detail! Additionally, I found Elizabeth’s final acceptance of things at the very end of the story frustrating. I find it very hard to accept that after the horrors and the revelations of the book she would stay with Richard and I found the reason for her staying to be a bit trite – in fact, the more I think about, the less I can see any reason for the couple to still be together and this strains the believability of the plot a little. I guessed what would be the result of the flirtation of Hobbs and Elizabeth and this lacked credibility for me – is the solution to all problems another baby?? In some ways this coda, as the blurb described it, seems tacked on and doesn’t ring true. Despite these reservations I did enjoy this book. The writing is skilful and enjoyable, the story engrossing and characters involving. Elizabeth’s aunts are beautifully and movingly portrayed, Richard’s mother Nonni is awful but believable, although oddly enough the Jourdelays’ two sons never really come to life much. 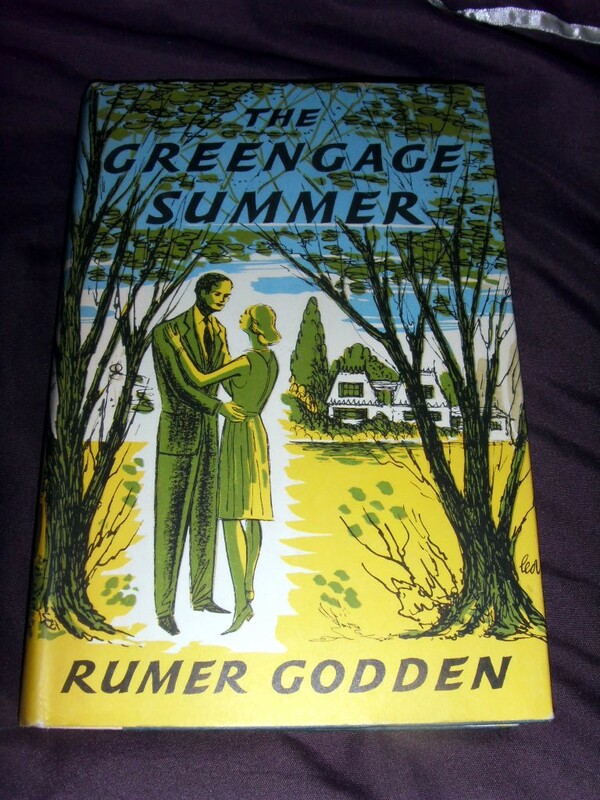 But Bawden handles her material well and I look forward to tackling the other books by her languishing on the tbr. I picked up this particular book for no other reason than I liked the sound of it – I’ve gradually been reading more Nabokov over the years (particularly loving “Pnin” recently) and this one intrigued me. It’s one of Nabokov’s Russian-written titles, translated (and revised) by himself later, and my edition is a nice old Penguin with a very atmospheric painting on the cover! The book is set in 1930s Germany and Hermann Hermann is a Russian émigré who works as a chocolate salesman. He lives with his wife Lydia, and a regular visitor is her cousin, the artist Ardalion – it is hinted that they might be lovers, but never made clear. On a business trip to Prague, Hermann encounters a man who he believes to be his double – a tramp called Felix. Hermann is attracted and repelled by Felix, but eventually hatches a plan to use his double in an insurance fraud. But all does not go as planned. That’s a short summary of what is a complex piece of work, and one that cannot easily be pinned down! From the start, we are aware that Hermann is a very unreliable narrator, and particularly in the early chapters he finds it hard to set down his story in a coherent way. There are constant digressions, discussions of the best way to tell a story, and it seems that Hermann is in some ways trying to avoid getting to the point. And as with “Pnin”, there are times when Nabokov seems to be positioning himself between the narrator and the author, putting an extra layer of storytelling into the mix. It’s perhaps a little trite and obvious to draw comparisons with other Russian authors, but the story is strongly concerned with doppelgängers and there is much referring to Dostoevsky (as well as many other classic Russian writers). However, with “The Double” it was unclear if the second version of the narrator existed; in this story Felix definitely exists, but his resemblance to Hermann is what is in doubt. In essence, this is a fascinating look inside the mind of a deranged killer – Hermann obviously believes Felix to be his exact double, which is revealed to be false as the story goes on. He has based his whole perfect murder plot on this resemblance, and so the whole plan collapses like a house of cards when it comes to fruition, owing to his mistaken impression. But the narration is very unsettling in that we are never sure whether Hermann is telling the truth, whether his perceptions are accurate and indeed at one point he almost insinuates that the two men have changed places and he is Felix! By the end of the story, our views of both Lydia and Ardalion have changed and they seem completely different to the portraits painted by Hermann – Lydia becoming a bullied, crushed woman and Ardalion having more strength of mind than Herman would admit. The theme of doubles obviously obsesses Hermann (he senses splits in his personality concerning his relationship with Lydia), and it is obviously a theme which interests Nabokov too. There is constant play with the imagery of mirrors and also prominently the portrait of Hermann painted by Ardalion, which our narrator disparages – but we are left wondering if it is a truer picture of him than he would like to admit! Nabokov’s use of language is deliberate and precise, very clever and quite beautiful in places. This is not an easy book to read, but rewarding and involving, and towards the end very exciting. I think there are many deep themes being explored here and that it would take another read for me to really get to the bottom of it. Certainly “Despair” has made me even keener to read more Nabokov. 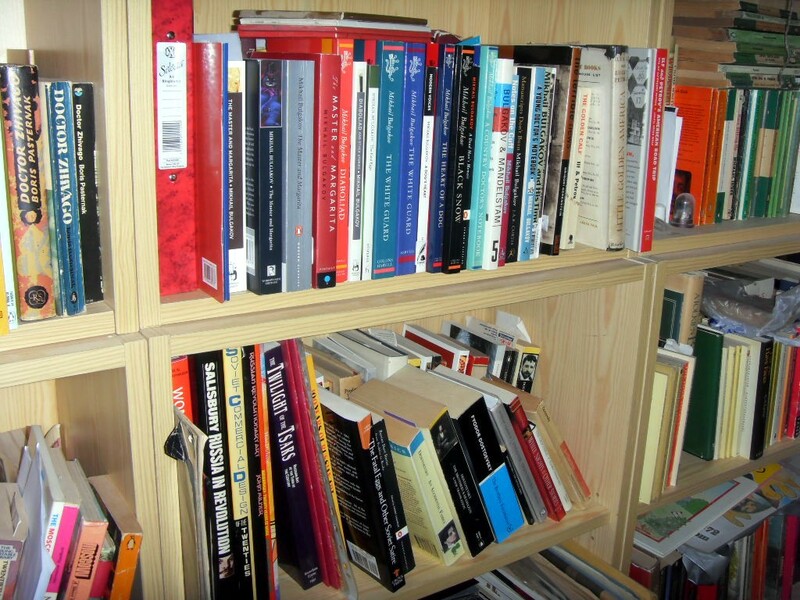 Revamping the Bookshelves – plus the Joy of Unexpected Finds! 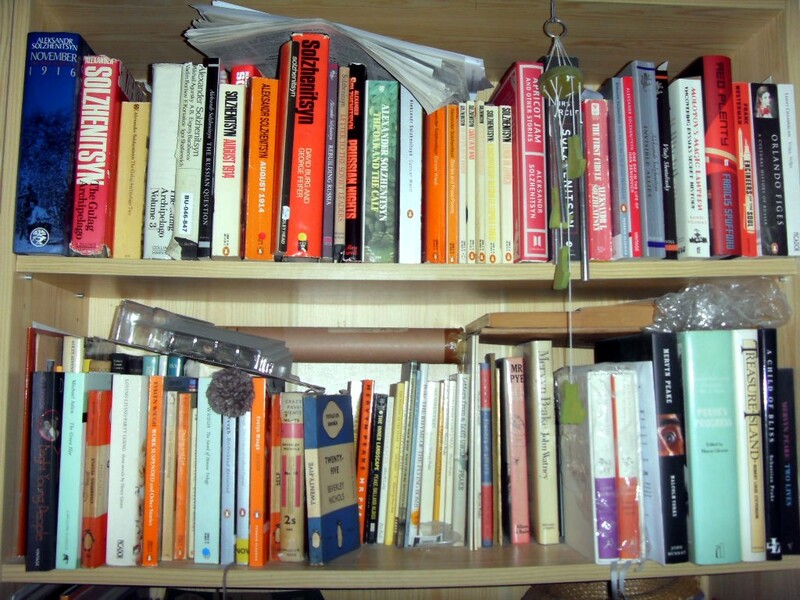 Any reader of this blog might have guessed that, from the amount of book making their way onto Mount TBR recently, a bookshelf crisis might be brewing – and they would be right! The Virago and Russian shelves have been filling up to the extent that I couldn’t cram any more volumes in, even lying on top of other books. Enough became enough, and I had a bit of a shuffle around this week. 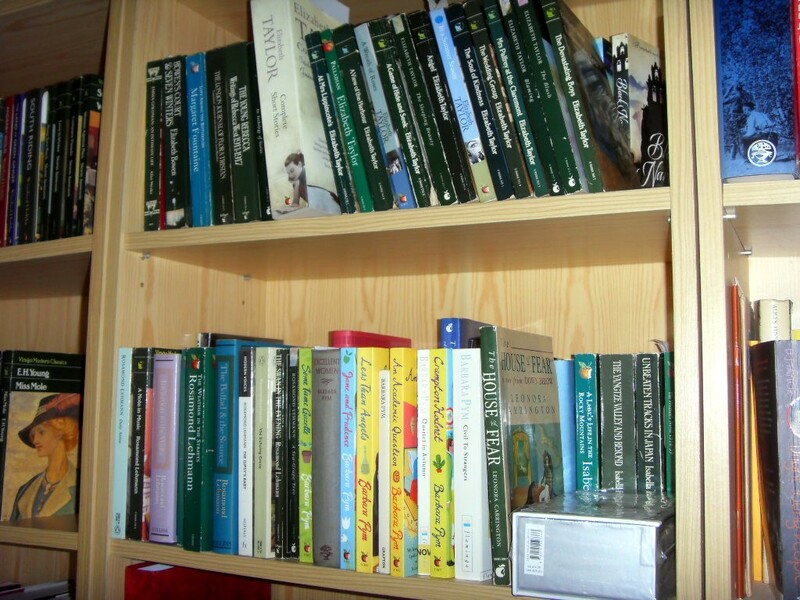 More Viragos – not the main collection! 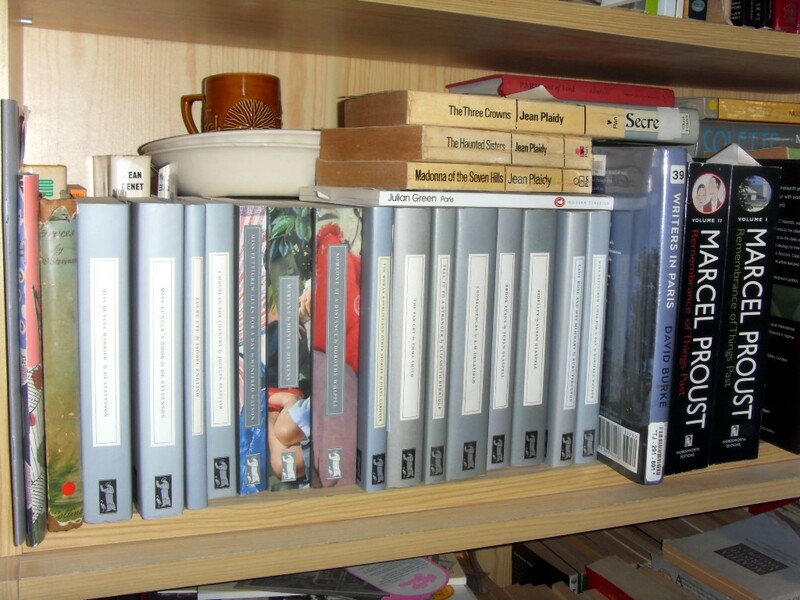 I pulled these Viragos out of the main collection for a number of reasons – firstly, the books at the back are non-VMCs like the Travellers or Biographies or fiction books or even modern fiction. Secondly, at the front are may Taylors and Pyms and Lehmanns which in some cases are mixed editions and it seemed to make sense to have them separate. Then there is the Persephones – not so many of those so far, but they are given pride of place at the front of a shelf (particularly the two “Miss Buncle” books which were my LibraryThing Secret Santa gift and which I really *must* read soon – half term next week should be very busy…. On to the Russians – there are a lot of them…. 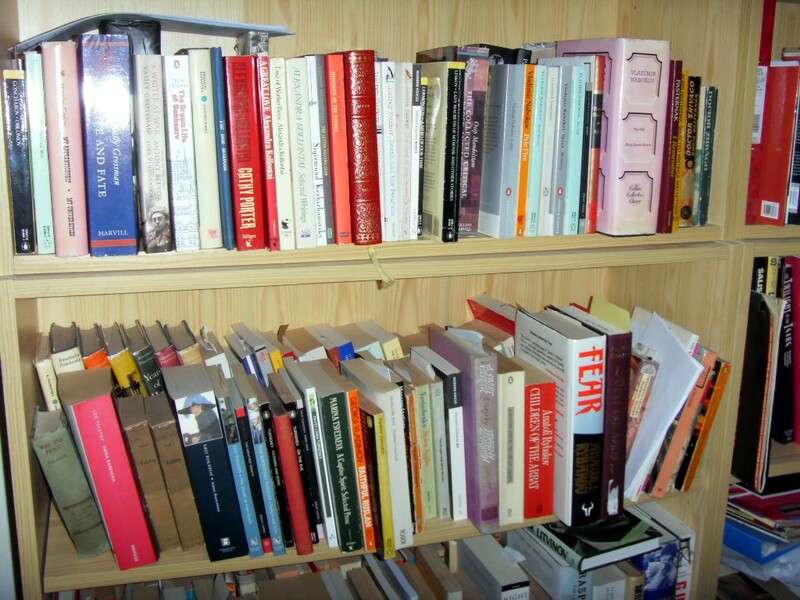 (well, I have been collecting them since about 1972).These two double depth shelves have general Russian fiction – note the large Nabokov which is very bad for toes. Below the Russian fiction is the Russian non-fiction – again, much of this I’ve had since my teens so there is quite a lot. And I have to say that I *have* read most of these as I had/have quite an interest in Russian history. The Solzhenitsyn collection also takes up most of a shelf on its own, which is understandable as most of them are rather old too. 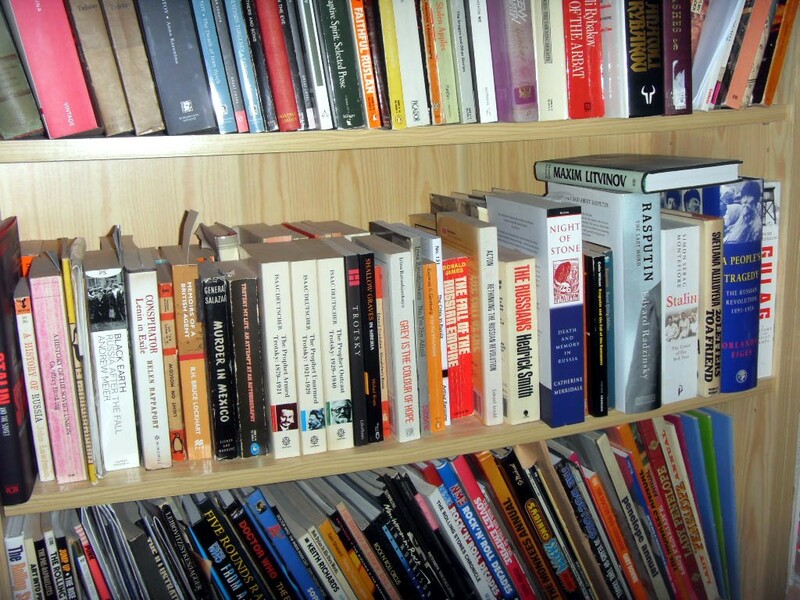 Underneath are other books of interest – Bright Young Things and Mervyn Peake mainly. This was a job I’d been putting off for a while (well, since my last revamp) and I’m glad things are a little more in order. I’ve also left space for expansion…. not that I should, but knowing what I’m like I will need it! And despite my best resolutions, I did come home from Saturday’s trip to town with a few bargains. 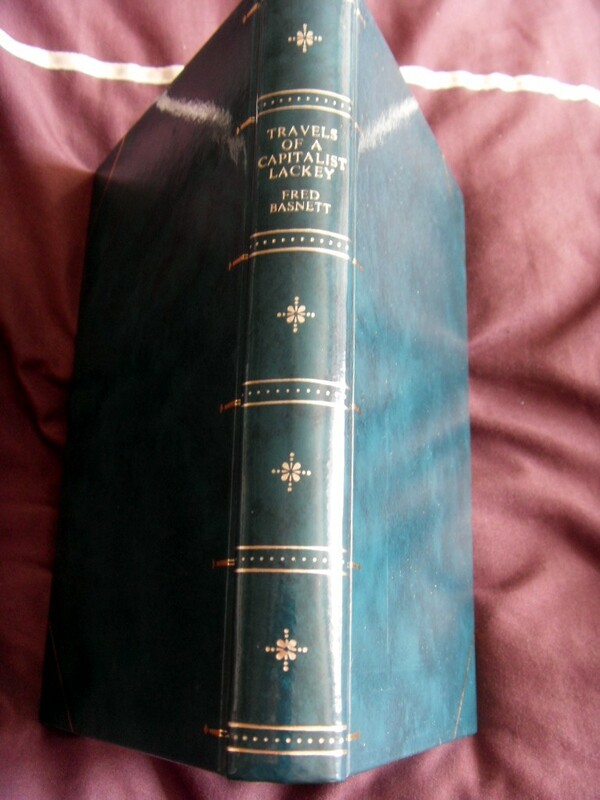 I picked up three of her Virago titles via The Book People last week and then came across this – for the ridiculous sum of 75p and it’s in really marvellous condition. Frankly, the cover alone is worth the price – I do love Book Club covers! 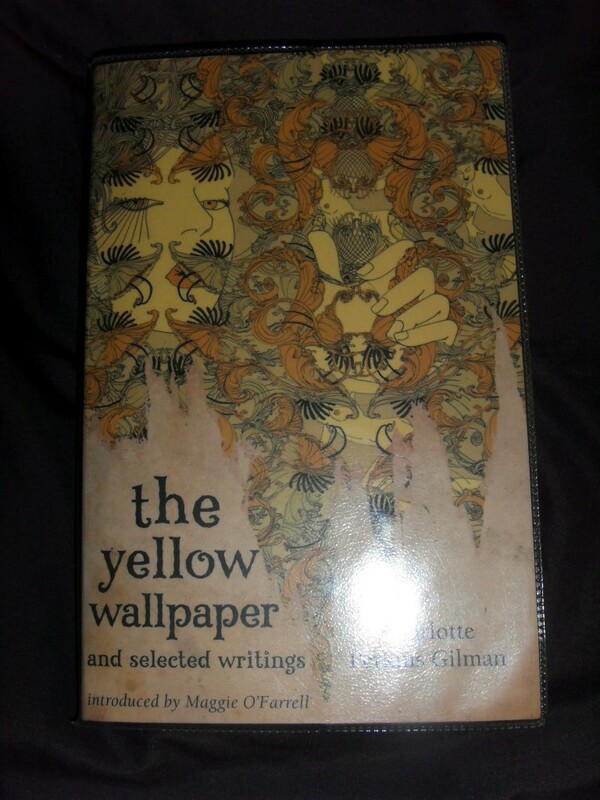 This modern Virago edition of “The Yellow Wallpaper” was a 30p library decommissioning bargain – it has the title story plus other pieces, so I was well pleased! The Japanese have a word for it…..
My recent reading of Chekhov’s “The Shooting Party”, and consideration of the state of women in Russia (and Russian literature) reminded me of a shorter piece I hadn’t read for some time – Nikolai Leskov’s “Lady Macbeth of Mtsensk” – so I thought this would be a good time for a revisit. 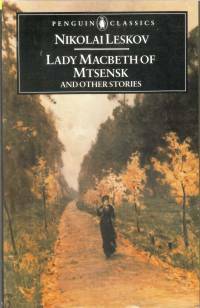 This work, which should more accurately be titled “A Lady Macbeth of the Mtsensk District”, is a surprisingly dark and dramatic work, packing an awful lot into less than 100 pages. The Lady Macbeth of the title is Katerina Lvovna, married to an old, dull, provincial landowner. She is stifled at home and unable to produce a child (which is blamed on her, but transpires not to be her fault, as is revealed during the story). Naturally, the moment a handsome young worker called Sergei appears on the scene, all is lost… Katerina’s young man is shiftless and disloyal, and she is forced to take desperate action to keep hold of him as her lover. Dark deed follows dark deed until we come to the blackest of all – a crime so shocking that it even shakes Katerina herself. She is not a hard woman, but desperate, and she lets her needs overcome her scruples and her knowledge of the evil she is undertaking. But this evil does not go unpunished, and Katerina and Sergei are caught. There is a brutal reckoning, they are shipped off to Siberia, and soon it is clear that Sergei no longer has any interest in his old lover as she no longer has money and status. His cruelty, however, will be repaid in kind. This is a harsh but lyrical story. It paints a vivid picture of the lengths a woman in love will go to in order to keep hold of her lover. The physical side of the relationship is obviously important to Katerina, and presumably she found no pleasure or satisfaction with her husband. The issue of the status of women comes to the fore again, as Katerina marries the first man who asks her in order to find a “good husband”. But she is trapped in an unhappy situation and so vulnerable to manipulation by the first man who gains her love. And certainly Sergei soon learns he only has to plant a seed in her mind for it to take root and the action he desires will follow, however drastic, to ensure he is kept in comfort. I was impressed again on my re-reading of this powerful work. It is highly regarded in Russia, so much so that Shostakovich turned it into an opera, and there have been several filmed versions. I only wish that more of Leskov’s work was available in English!